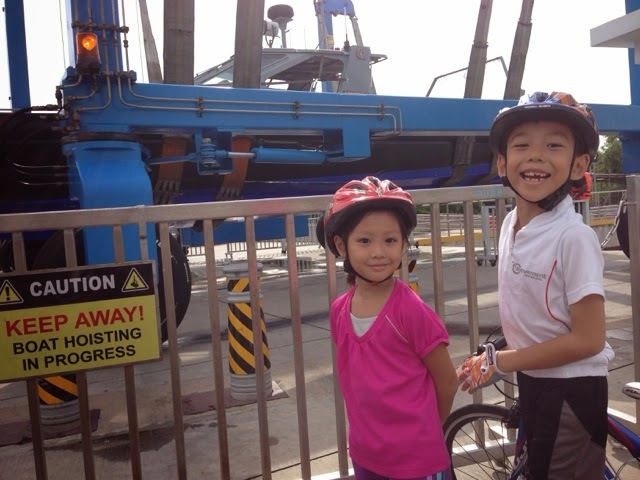 Daddy hasn't been cycling with the kids for quite a few weeks, so it's a great outing today! 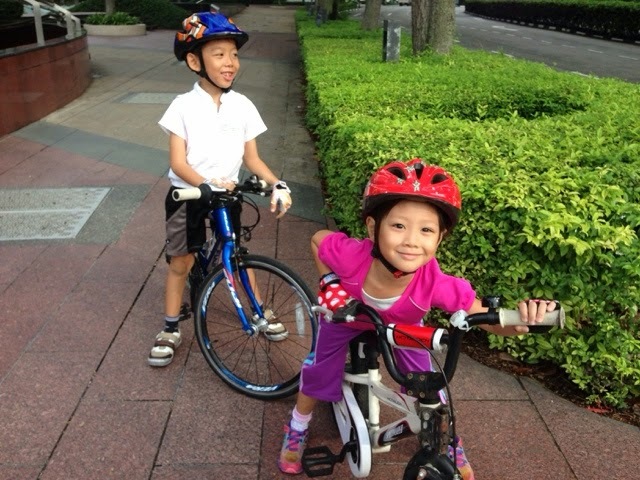 Talia remembers how she cycling all the way home from MBS by herself, so she wanted to ride "by herself" today. Here we are coming up Shenton Way. Ethan was an excellent sweeper and they know my signs for stop, slow, and 2 up quite well! At the Marina Barrage bridge we stopped to see a Police boat being hoisted over the bridge into Marina Bay for the NDP coming this weekend. Quite a sight to see even a small boat being lifted over the bridge. "This bridge doesn't go up," remarked Ethan. "The boats go over." Eventually, Talia got tired and I pulled her along. Those hubs and coaster brakes on her Specialized Hotrock 16 sure have some friction in them! I expended a fair amount of energy pulling her at 20 kph with Ethan keeping pace. 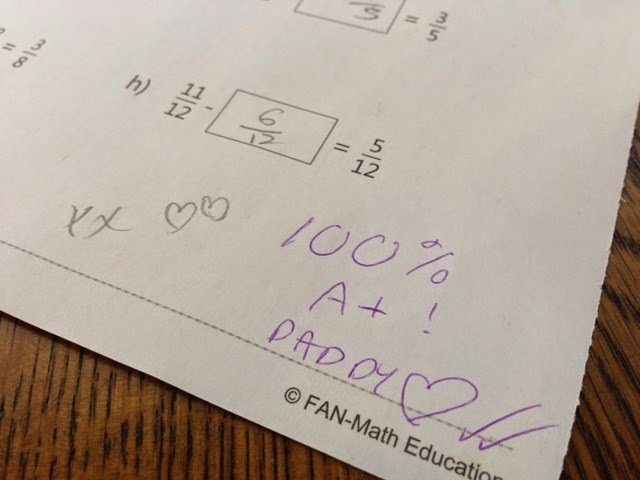 Ethan can now handle 40km over half a day, so when Talia graduates to Ethan's bike, I think we can do 50km/day bike holidays with me pulling Talia on Ethan's Fuji 20. 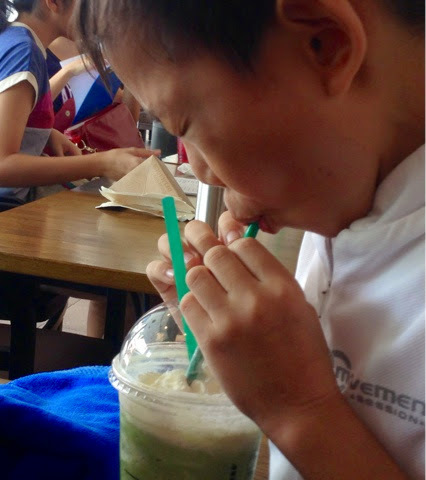 Brain freeze and loving it!! 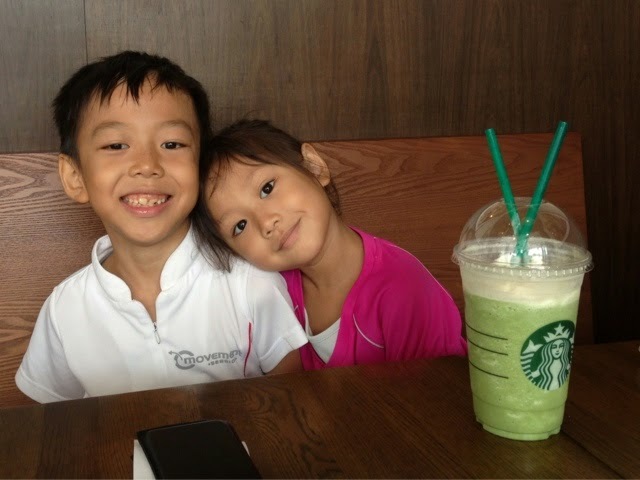 Even better, the kids become very amenable to doing homework in a nice cafe. 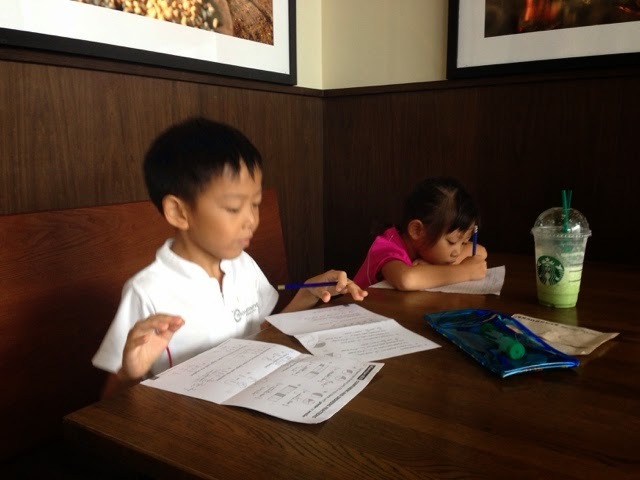 Look at these studious little ones enjoying learning amidst bayside views at One Fullerton, Starbucks.... Cost = $8 for all 3 of us! 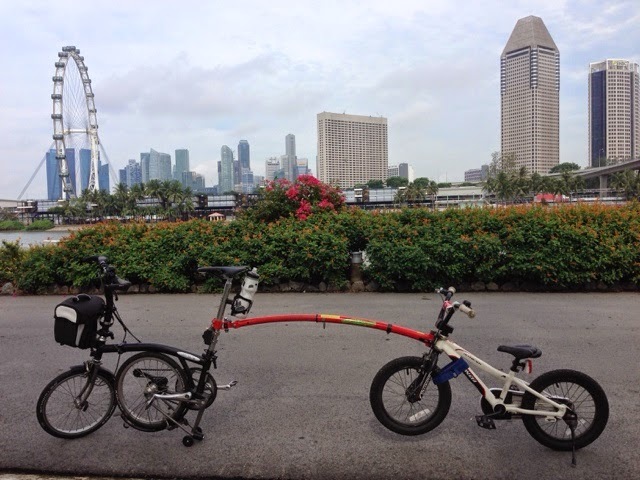 All that was left was lunch at Lau Pa Sat and a short ride home. 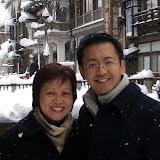 In 32 days, Mummy and Daddy leave for Paris to ride the Veloscenic to Mont St Michel. I am already thinking of making a second trip there with the kids, enabling them to ride the same 400km route.